Those who own and invest in rental property are always looking for a solid market in which to purchase their next investment property. 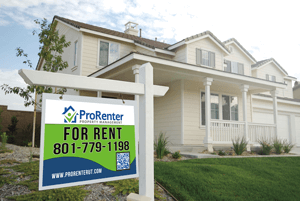 In this post we will discuss why Utah is a strong market for owning rental property and why investors should consider Utah for their next rental property purchase. Utah has three cities on Forbes.com’s list of “Best Places for Business and Careers” and Utah is ranked the third best state for business by Forbes.com. The reason Utah places so high on such lists is most likely due to the strong economic climate in the State. Utah experienced a 3% job growth in 2013 while unemployment was only 4.6% compared to the national average for unemployment which ranged from 7% to 7.9% in 2013 (United States Department of Labor). The solid job growth and low unemployment in Utah is likely due to several factors. First, Utah has a highly educated work force with 30.7% (Forbes.com) of the State’s population attaining a college education. Second, Utah has very affordable housing compared to the rest of the nation with the median home price at about $185,000. Lastly, the State’s politicians are willing to incentivize companies to move their operations to Utah and create new jobs for the State. So why do these economic indicators make Utah a great place to purchase rental property? With steady job growth and low unemployment Utah residents are more likely to purchase or rent rather than live with family. In recent years low mortgage rates have encouraged residents to purchase rather than rent, but with interest rates on the rise and banks requiring larger down payments, many Utah residents are looking to rent quality housing. The outlook for qualified renters in Utah is strong. Low unemployment rates in the State are a strong indicator that vacancy rates in Utah should remain low (below 8%).A strong pool of qualified renters coupled with affordable real estate makes Utah a great place for your next investment property! PreviousPrevious post:Property Manager vs. Do-It-Yourself LandlordNextNext post:Welcome to Our Blog!